For many of you the thought of being confined to a 12×6 room is hard to imagine. Much less being confined in that size room for any length of time. To say in humane can only scratch the surface when describing the effects of long term issolation. As a person who has served many months, 13 to be exact, in solitary confinment I can relate to this article. We need to realize that you can’t isolate someone for ever. Its what happens mentally, physicaly, and emotionally while in isolation that no one wants to talk about. If you would like to know more about solitary confinement please post your question in the comment box. After reading this article I encourage you to go lock yourself in your bathroom and see how long you can stay there. This will give you just a little insight into what living in solitary confinment is like.. I hadn’t committed a crime. Instead, as the new head of the state’s corrections department, I wanted to learn more about what we call Ad Seg. Most states now agree that solitary confinement is overused, and many — like New York, which just agreed to a powerful set of reforms this week — are beginning to act. When I was appointed, Gov. John Hickenlooper charged me with three goals: limiting or eliminating the use of solitary confinement for mentally ill inmates; addressing the needs of those who have been in solitary for long periods; and reducing the number of offenders released directly from solitary back into their communities. If I was going to accomplish these, I needed a better sense of what solitary confinement was like, and what it did to the prisoners who were housed there, sometimes for years. In regular Ad Seg, inmates can have books or TVs. But in R.F.P. Ad Seg, no personal property is allowed. The room is about 7 by 13 feet. What little there is inside — bed, toilet, sink — is steel and screwed to the floor. First thing you notice is that it’s anything but quiet. You’re immersed in a drone of garbled noise — other inmates’ blaring TVs, distant conversations, shouted arguments. I couldn’t make sense of any of it, and was left feeling twitchy and paranoid. I kept waiting for the lights to turn off, to signal the end of the day. But the lights did not shut off. I began to count the small holes carved in the walls. Tiny grooves made by inmates who’d chipped away at the cell as the cell chipped away at them. For a sound mind, those are daunting circumstances. But every prison in America has become a dumping ground for the mentally ill, and often the “worst of the worst” — some of society’s most unsound minds — are dumped in Ad Seg. Too often, these prisoners are “maxed out,” meaning they are released from solitary directly into society. In Colorado, in 2012, 140 people were released into the public from Ad Seg; last year, 70; so far in 2014, two. The main light in my cellblock eventually turned off, and I fell into a fitful sleep, awakening every time a toilet flushed or an officer yanked on the doors to determine they were secure. Then there were the counts. According to the Ad Seg rules, within every 24-hour period there are five scheduled counts and at least two random ones. They are announced over the intercom and prisoners must stand with their feet visible to the officer as he looks through the door’s small window. As executive director, I praise the dedication, but as someone trying to sleep and rest my mind — forget it. I learned later that a number of inmates make earplugs out of toilet paper. When 6:15 a.m. and breakfast finally came, I brushed my teeth, washed my face, did two sets of push-ups, and made my bed. I looked out my small window, saw that it was still dark outside, and thought, now what? I would spend a total of 20 hours in that cell. Which, compared with the typical stay, is practically a blink. On average, inmates who are sent to solitary in Colorado spend an average of 23 months there. Some spend 20 years. Eventually, I broke a promise to myself and asked an officer what time it was. 11:10 a.m. I felt as if I’d been there for days. I sat with my mind. How long would it take before Ad Seg chipped that away? I don’t know, but I’m confident that it would be a battle I would lose. But Mr. Clements had barely begun his work when he was assassinated last March. In a tragic irony, he was murdered in his home by a gang member who had been recently released directly from Ad Seg. This former inmate murdered a pizza delivery person, allegedly for the purpose of wearing his uniform to lure Mr. Clements to open his front door. A few days later, the man was killed in a shootout with the Texas police after he had shot an officer during a traffic stop. Whatever solitary confinement did to that former inmate and murderer, it was not for the better. When I finally left my cell at 3 p.m., I felt even more urgency for reform. 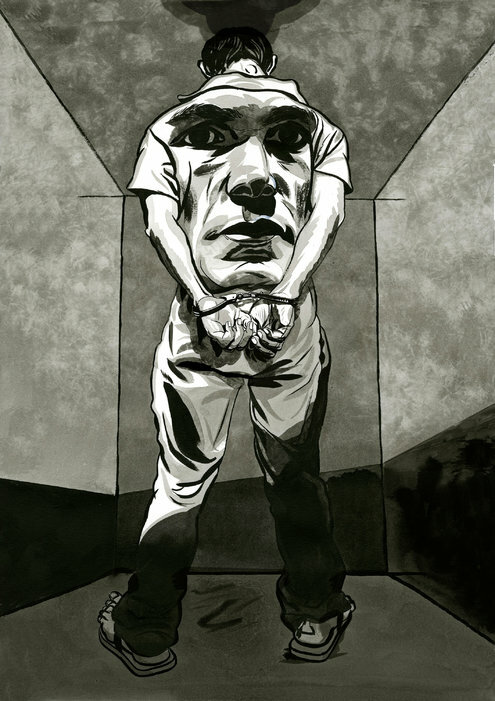 If we can’t eliminate solitary confinement, at least we can strive to greatly reduce its use. Knowing that 97 percent of inmates are ultimately returned to their communities, doing anything less would be both counterproductive and inhumane. Rick Raemisch is executive director of the Colorado Department of Corrections.